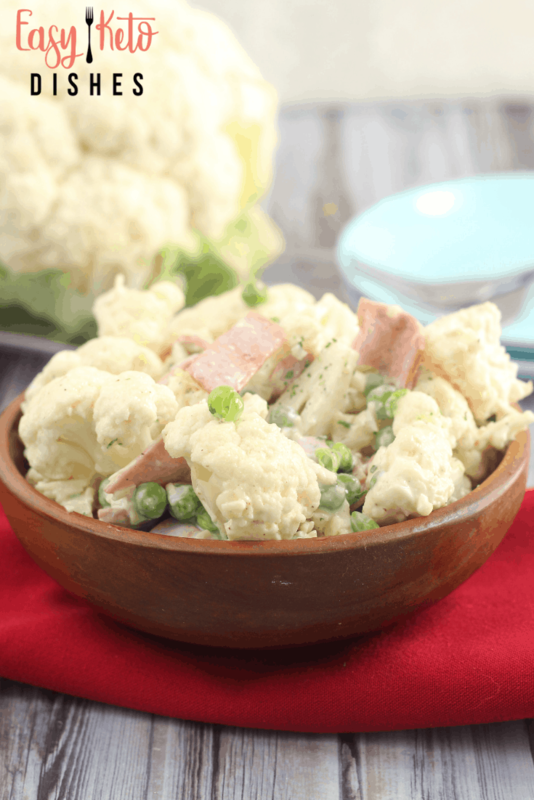 Creamy, with just the right amount of crunch, this keto friendly, raw cauliflower salad is the perfect side dish any time of year! 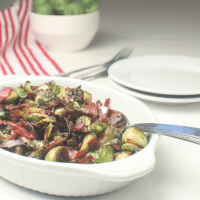 If you are needing the perfect salad that can go with just about any meal, this is it. This raw cauliflower salad has a crunch that goes great with grilled burgers, salmon, and chicken. 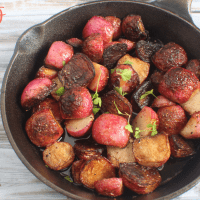 Add it on the side to your next steak dinner instead of potatoes! I first got to taste a raw cauliflower salad at a fellowship gathering when my sweet friend Laurelee brought it. I was glad that she had made a triple batch of it, because there was hardly any left by the time I got to it. It was so popular, that it was gone in a flash. The problem was added carbs in the sauce, and the amount of peas it contained. This keto friendly version of her raw cauliflower salad is just the ticket to getting the good flavors, without the additional carbs. It’s replaced regular potato salad in our home permanently. Even for the Frenchman, and he loves his potatoes! 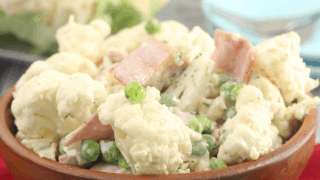 I give you the ultimate raw cauliflower salad! 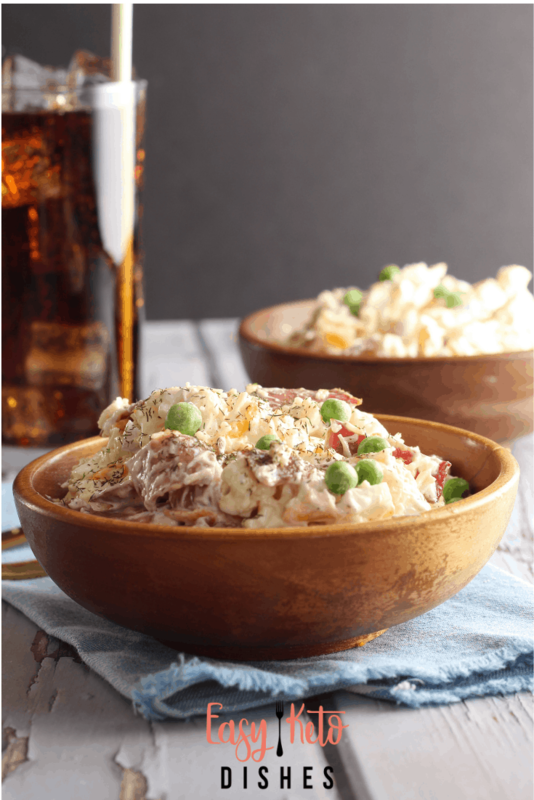 Now, there are some who do not think that peas are keto friendly. Well, maybe and maybe not. Some keto experts will tell you that eating 7-10 cups of green, non starchy veggies daily, and not counting the carbs at all is the way to go. Others will say that ALL carbs need to be counted, including in green veggies. Of course, there is the argument that peas have more sugar and are less keto or even low carb friendly. 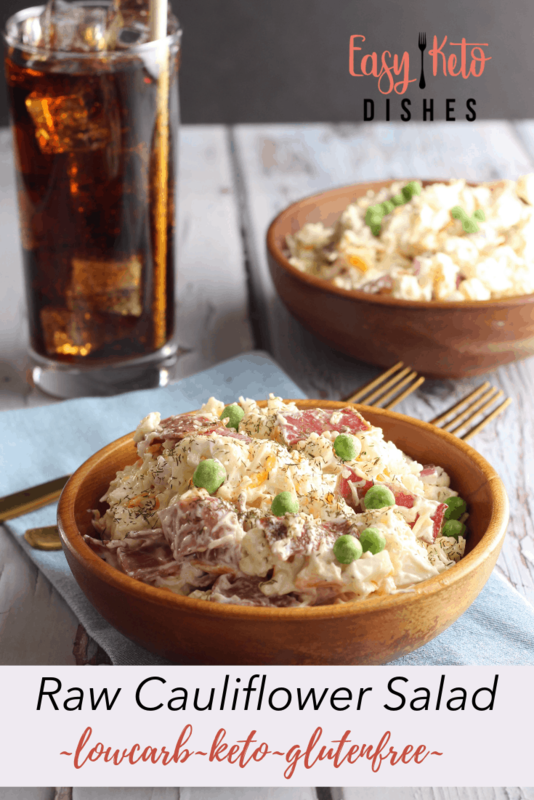 However, when you consider that peas are an excellent source of vitamin K, vitamin A, vitamin C, thiamin, folate and manganese, the 7 carbs in 1/2 cup are worth it. (source) If you really don’t want the peas, you can leave them out, or substitute green beans for them. As for the sauce for this raw cauliflower salad, I used homemade mayo. 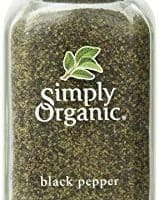 (get that recipe here) No sugar at all to contend with and easy to add healthy fats and virtually zero carbs. You can use store bought mayo, if you prefer, just make sure that you are getting REAL mayonnaise, and check the labels for hidden sugars. Remove the core and leaves from the cauliflower. Cut into small, bite size florets and place in a large mixing bowl. Set aside. Run frozen peas under warm water for 2-3 minutes to thaw. Add thawed peas to cauliflower in bowl. Cook the bacon, drain any grease, and chop into pieces. Add to vegetables in bowl. Mix in the mayo and Parmesean cheese. Stir all ingredients to combine. Season to taste with salt and pepper, stirring again to combine. Place covered bowl in fridge for 20-30 minutes, to allow flavors to meld. Store in covered container for up to 3 days. What is your favorite side dish at BBQ’s? 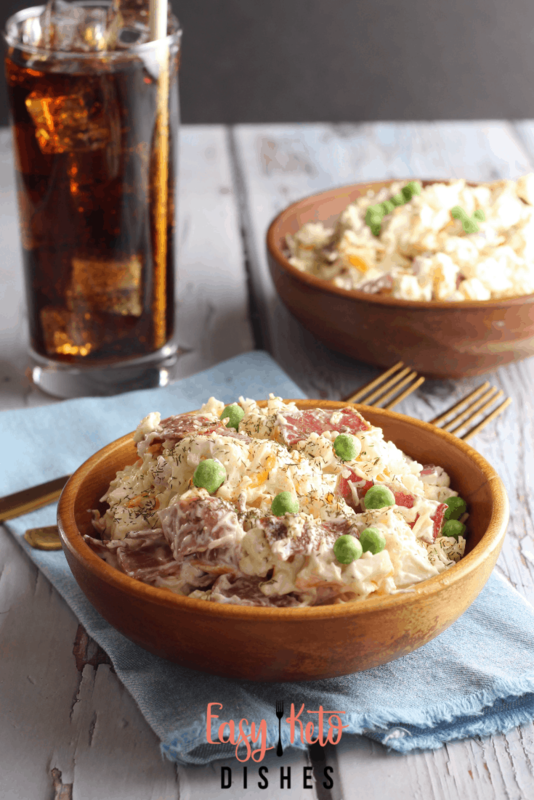 Will you try this cold cauliflower salad? Be sure to let me know what you think! 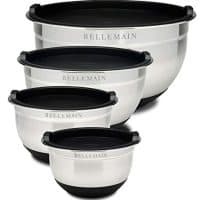 Top Rated Bellemain Stainless Steel Non-Slip Mixing Bowls with Lids, 4 Piece Set Includes 1 Qt, 1.5 Qt, 3 Qt. & 5 Qt. While I do my best to make sure these numbers are accurate, please be your own best advocate and double check! © If you make this recipe, snap a pic of your dish and hashtag it #easyketodishes. 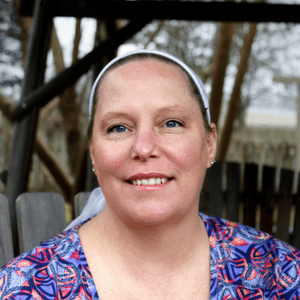 I'd love to see your creations on Instagram, Facebook, and Twitter! NOTE: All images and text on this website are protected by copyright. 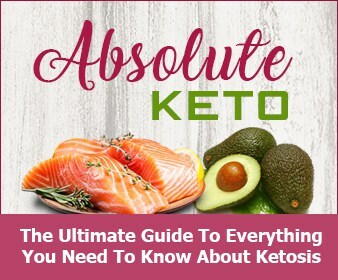 Please do not post or republish this recipe and/or images without written permission from Easy Keto Dishes. If you want to share this recipe, please share the link rather than the whole recipe. I have been making a version of this salad since 2009! 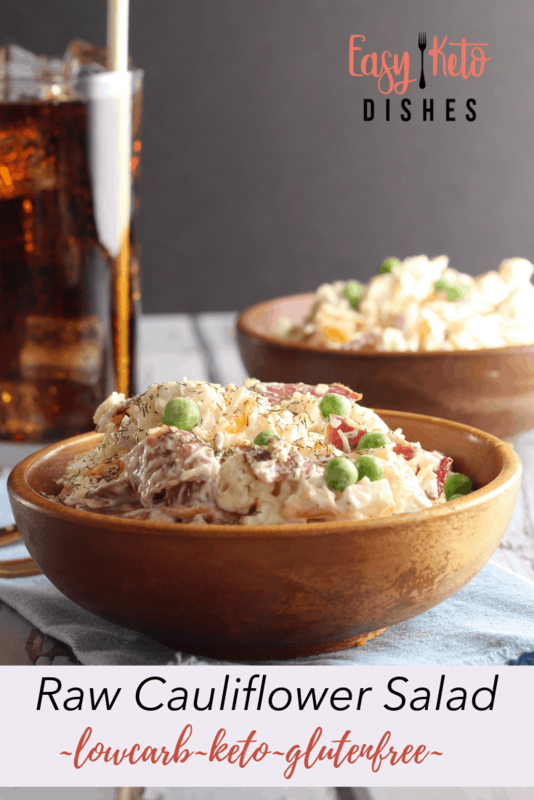 We break the cauliflower up into small pieces, add hard boiled eggs, regular bacon cooked and chopped (we have grass raised pork in our freezer), small pieces of cheddar cheese, mayo and a small amount of a sour cream and chive dip. 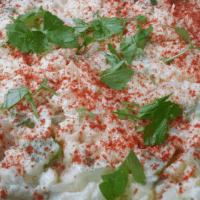 Most recipes for faux potato salad with cauliflower has the cauliflower cooked and we really love it raw with the wonderful crunch and freshness. Husband LOVES it. Also a good recipe for diabetics. 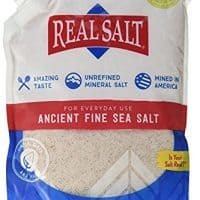 Great for summer picnics and potlucks! I have not tried the parmesan cheese but will when we make it next (Easter dinner!). 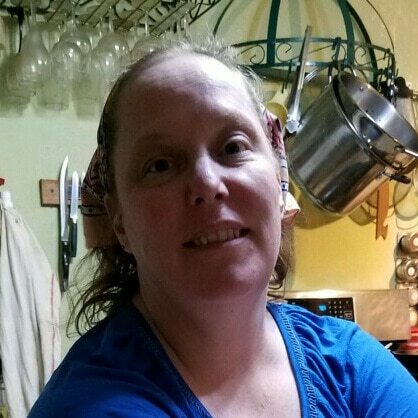 Very happy to see your recipe! Thank you. It’s sooo good, right? Thanks for stopping by!